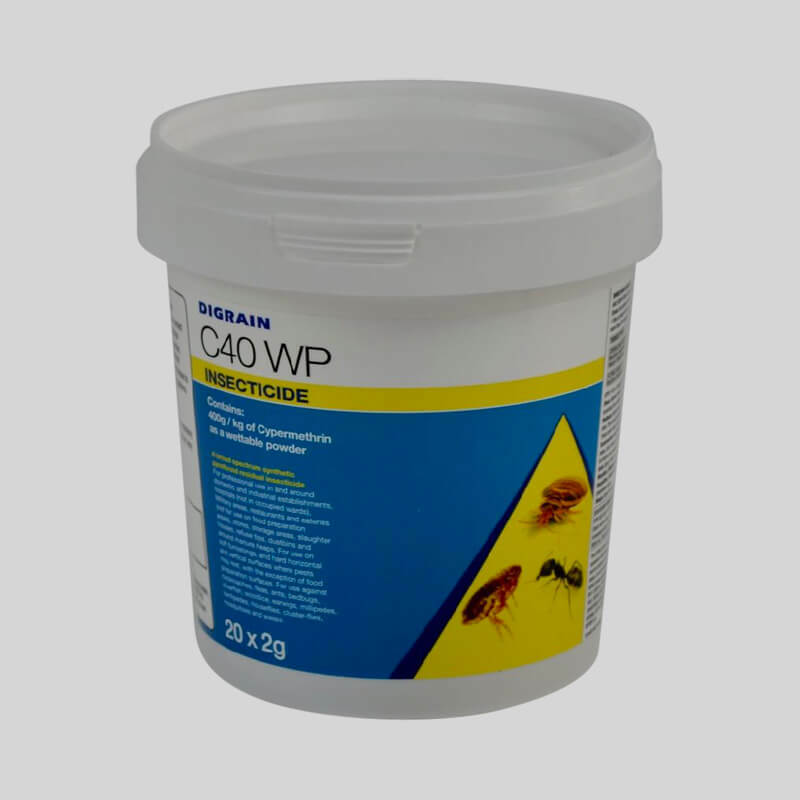 NEW insecticide wettable powder containing 40% Cypermethrin. 50% more applications than other comparable wettable powders. Proven 100% long-term mortality on bedbugs and cockroaches. Supplied in 20 x 2g sachets. Digrain C40 WP is a new and highly effective wettable powder with proven long term residual activity. 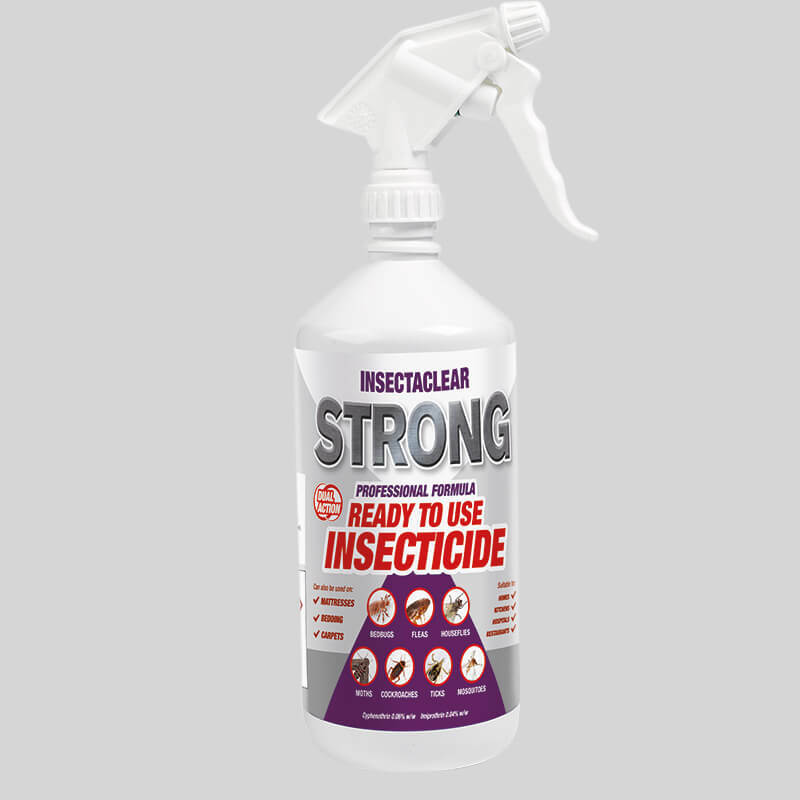 For use against flying and crawling insects in and around domestic and industrial establishments, hospitals, military areas, slaughter houses, refuse tips, dustbins etc. For use on furnishings, and hard horizontal and vertical surfaces where pests may rest. Proven 100% long term mortality on insects such as ants, cluster flies, fleas, bedbugs, woodlice and cockroaches. One sachet will make 1 litre of sprayable product. Apply with a Pressure Sprayer. Add 1-2 litres of clean water to the sprayer, and then add the product according to the table below. Use the blue scoop provided with this pack for dispensing the product. A 'rounded' scoop of product measures approximately 10g. Add the remainder of the water. Shake the sprayer to mix contents. Apply as a coarse low pressure spray. Make up spray as required. Do not store prepared spray overnight. 1 litre of ready-for-use spray treats 25 square metres of sprayable surface. Shake sprayer to re-mix contents if spraying is interrupted for more than 30 minutes. Do not use spray near electrical appliances, light fittings or switches.